Published April 4, 2016 at 2023 × 1446 in Portfolio. Wagner Spray Tech asked us to design a family look for a line of spray guns that are used for specific painting projects and create a branded image. We created a strong, vertical, yellow brand with stylized lettering and named the product line. We also visually showed the product in use to distinguish the different type of painting projects it was meant to do, such as house painting or painting a wicker chair. Our services included design for a dedicated in-store display that provided consumers with product, accessories, and work brochures. 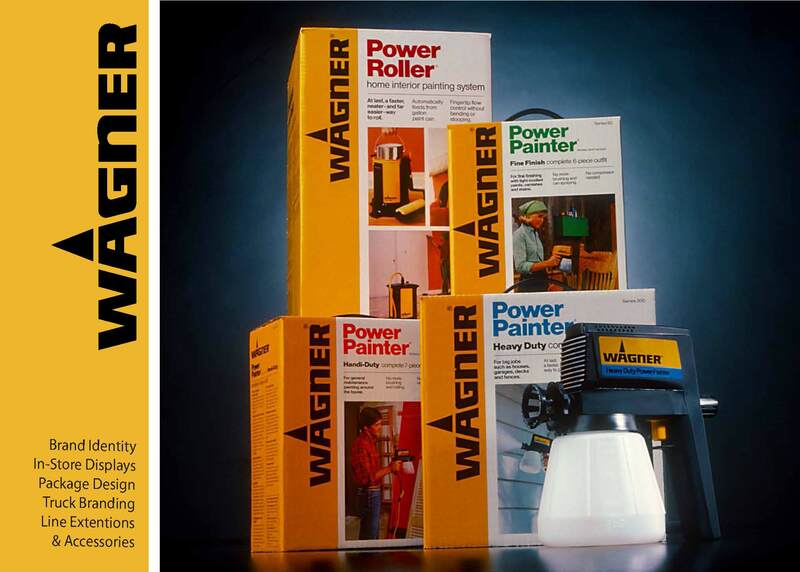 Wagner’s plant doubled their shift to meet the production demand for their new line and the growth led to the development of innovative product line extensions.